New research reports that, contrary to popular belief, mammals began their massive diversification 10 to 20 million years before the extinction of the dinosaurs. The study, involving Elis Newham from the University of Southampton, questioned the familiar story that dinosaurs dominated their prehistoric environment, while tiny mammals took a backseat, until the dinosaurs (besides birds) went extinct 66 million years ago, allowing mammals to shine. The old hypothesis hinged upon the fact that many of the early mammal fossils that had been found were from small, insect-eating animals—there didn’t seem to be much in the way of diversity. However, over the years, more and more early mammals have been found, including some hoofed animal predecessors the size of dogs. The animals’ teeth were varied too. 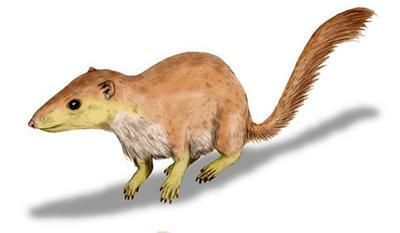 The researchers analysed the molars of hundreds of early mammal specimens in museum fossil collections. They found that the mammals that lived during the years leading up to the dinosaurs’ demise had widely varied tooth shapes, meaning that they had widely varied diets. These different diets proved key to an unexpected finding regarding mammal species going extinct along with the dinosaurs. Not only did mammals begin diversifying earlier than previously expected, but the mass extinction wasn’t the perfect opportunity for mammal evolution that it’s traditionally been painted as. Early mammals were hit by a selective extinction at the same time the dinosaurs died out—generalists that could live off of a wide variety of foods seemed more apt to survive, but many mammals with specialised diets went extinct. The reason behind the mammals’ pre-extinction diversification remains a mystery. Grossnickle suggests a possible link between the rise of mammals and the rise of flowering plants, which diversified around the same time. “We can’t know for sure, but flowering plants might have offered new seeds and fruits for the mammals. And, if the plants co-evolved with new insects to pollinate them, the insects could have also been a food source for early mammals,” he said.